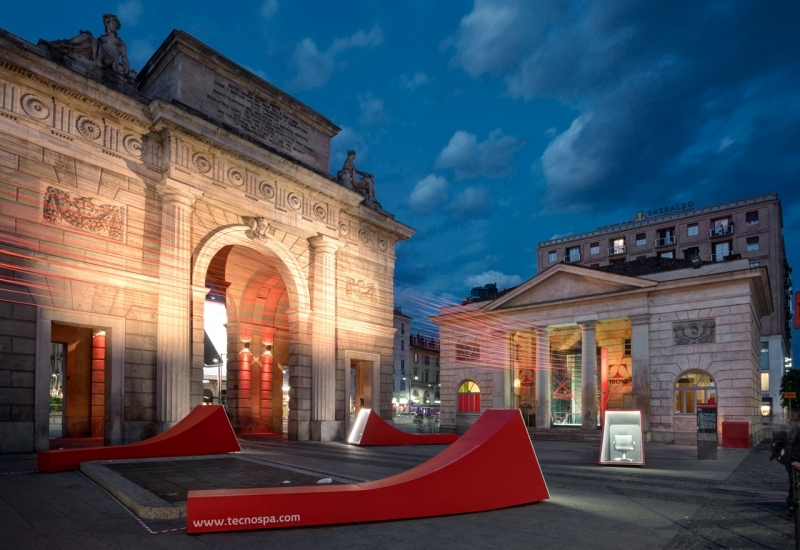 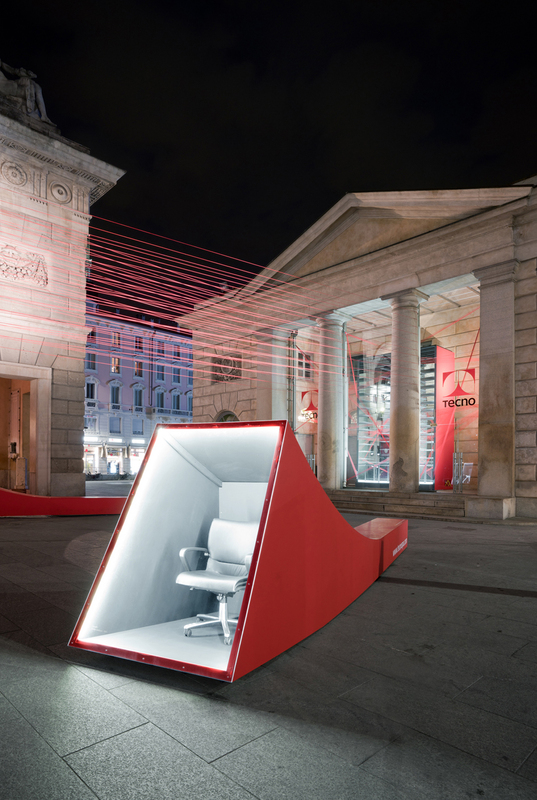 The installation of Migliore+Servetto Architects inside Tecno’s showroom is composed by a dense network of red, spatial links, that emerges from the Caselli, home of the Milanese showroom, and embraces the outside piazza, thus building an unprecedented connection between the two Caselli, on the occasion of Milan Design Week 2016. 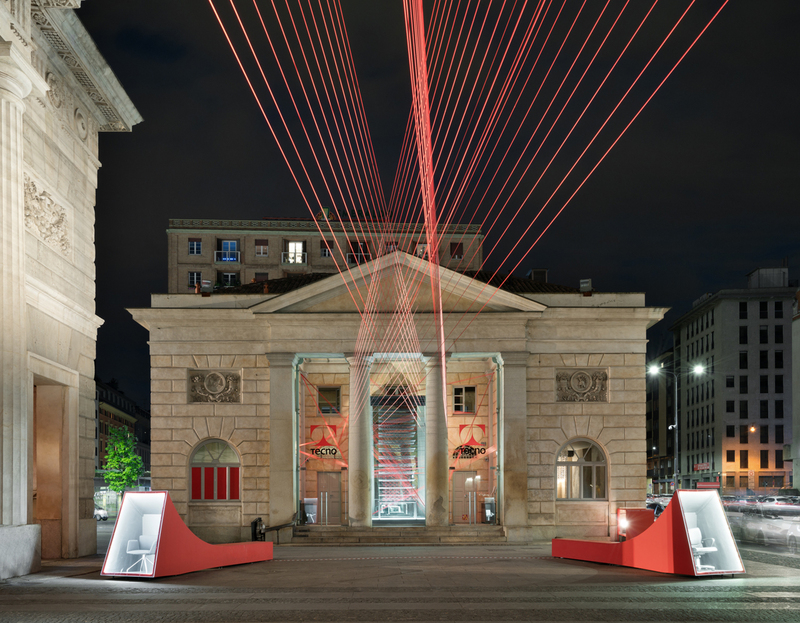 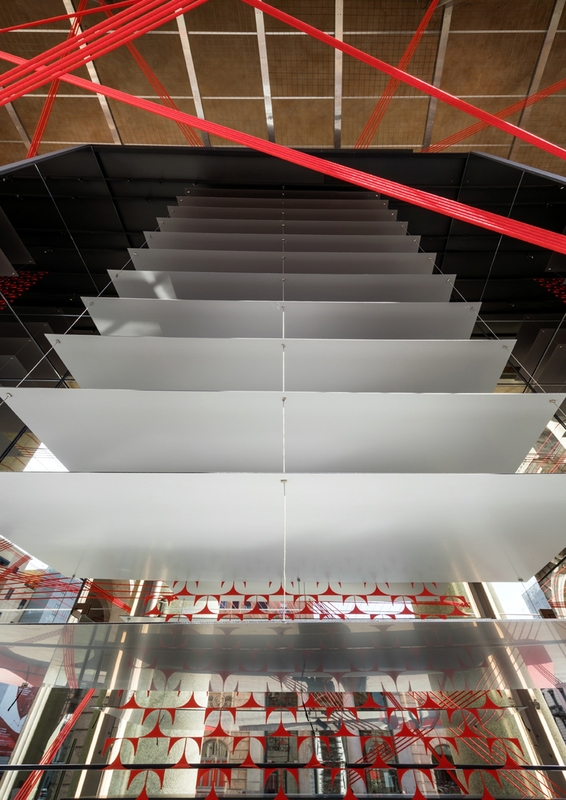 A flow of energy which passes through more than one kilometre of red elastic bands stretched between the two specular buildings: a dynamic, continuous mark of narration that connects interior and exterior. The piazza below this dense network turns into a urban living room, around four large, continuous volumes, used as welcoming seats and as stages to present the product to the outside. 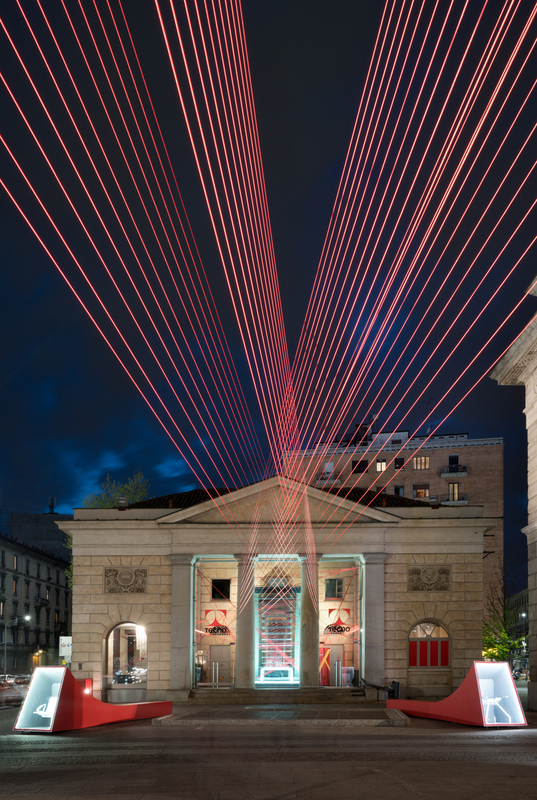 Clavis, the new operating system to be launched during Salone del Mobile is presented, in the two window displays on the piazza, within high mirror frames topped by an ascending vortex of replicas of its silhouette, in a stratification of layers from white to black and vice versa, drawing a dynamic view. 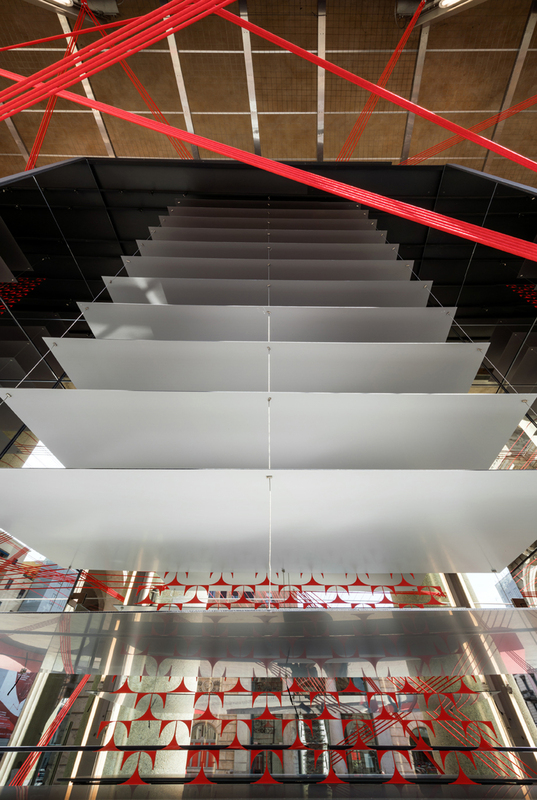 In the Caselli, in a sort of three-dimensional stop motion, a succession of pictures resting on the Clavis tables exposed, recreates the assembly sequence of the product itself, while in a room of the showroom, the glass surface of Clavis table becomes the projection screen for the presentation of io.T; the intelligent system of interconnected furnishings previewed by the company during the last edition of the Salone del Mobile.